I can't believe how good / alien / avant garde / ahead of its time this album is. Every track is interesting in its own way, production is top notch. This is not an album for everyone i think, because it doesn't really have an homogeneity style-wise. It starts with "easy on the listener" tracks but quickly moves towards highly experimental and microtonal tracks. If you appreciate the Colundi works by Aleksi Perala you'll like this too. I think "Go to sleep" is my favourite track, so soothing and weird with background atmospheric vocal / noises / reverbs. On a side note: the material RDJ has been putting out recently is - imho - heavily influenced by this album / similar works. Luke Vibert and Jeremy Simmonds return for a second round of acid tech craziness with RODULATE, bringing in the abstract beats with "Open File" and a bloopy rap with "Room 28 Rap." The melodies and rhythms of "Space Mist" sounds almost like pure Vibert, though the wobbliness atop is surely Simmonds' contribution. But the subdued blippery of "Go To Sleep (Everything Is Alright)" is like a robot's lullaby, and the tones of "Rare Peel" sound almost like a gamelan set over heavy IDM beats. "Hurtin' Cyst" blends together a mellow jazz with acid tones reminiscent of early Plastikman, while "V.A.J." keeps the jazz at the forefront. "Fishing Ray" takes things out back on an abstract acid note. Hopefully it won't take another 15 years before these two decide to collaborate again. If you really were into the classic Rephlex album "Weirs" by Vibert/Simmonds then you're gonna love this. It has sweet drums of Vibert and those hypnotic kind of haunting synthesizer sounds that bounces from left to right. It also got a funny Room 28 Voafose Rap and samples from some kids playing in "Story" then a kid keeps saying "Say something!" til you're going nuts. My favourite tracks are Go To Sleep (Everything Is Alright), Hurtin' Cyst and Rodulate. For me this album is pure Braindance and fits in totally in my Rephlex Collection. 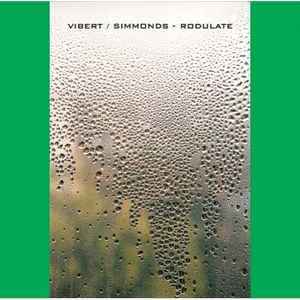 Vibert/Simmonds rocks!